Where are that best markets in Brisbane? Are they good because of the products sold, the prices or the location? 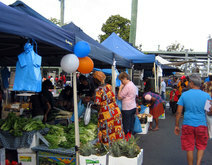 I am not sure that there is a best market in Brisbane.There are a number of interesting markets around Brisbane. Woodridge Markets are very popular and is one of the best on the south side of Brisbane for cheap fruit and vegetables.I love also that they have a side market of food (mostly South East Asian food). 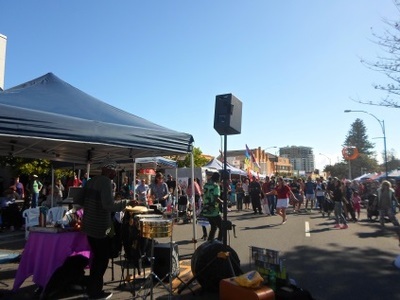 The City Markets on Wednesday in Brisbane Square are one of the most eclectic including great food stalls, organic produce as well as cheap fruit and vegetables. There are also a range of other products including breads, honey and so on. The 1st Sunday of every month they have a suitcase rummage in that same place. People sell from suitcases and on blankets (so no stalls). A good place to pick up things such as second hand clothes though people sell a range of different things. The Eagle Street Markets on Sundays is perhaps the best for touristy type products and I think better than the ones at the South Bank markets. These are just a few of the many markets.